Have you ever heard of powder lipsticks? I had not until now and I guess there is only one brand who have comes up with powder lipsticks. 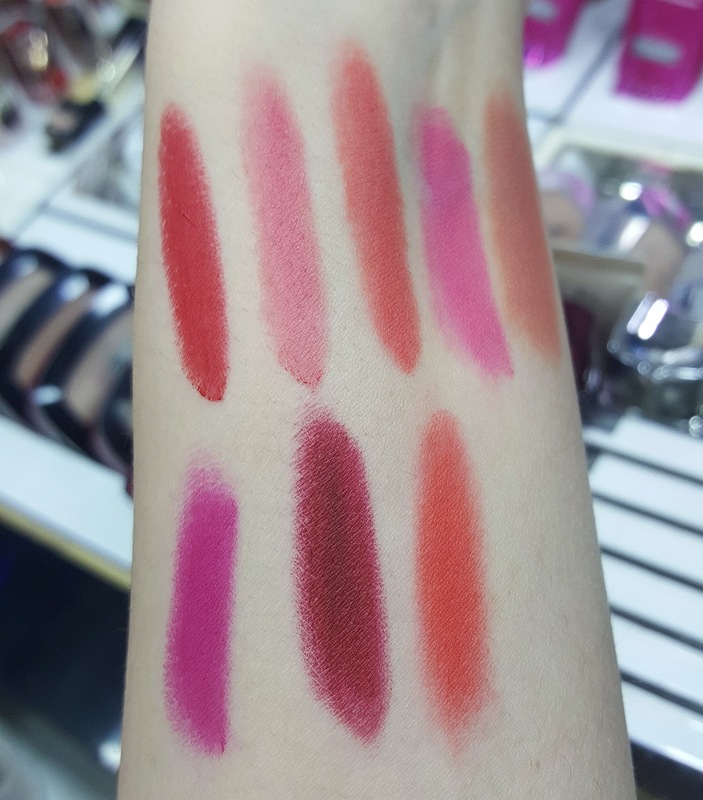 Recently L’OREAL launched TINT CARESSE in 8 different shades. 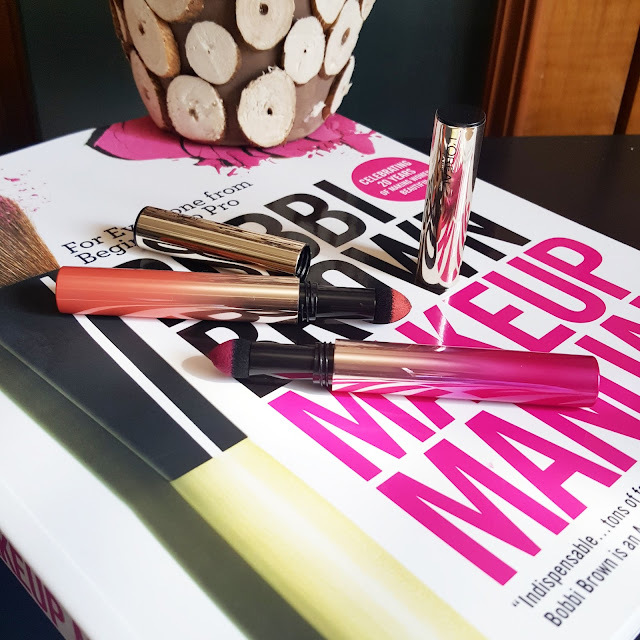 This are powder lipsticks which give you a complete matte effect now how does it work lets give a look at it. 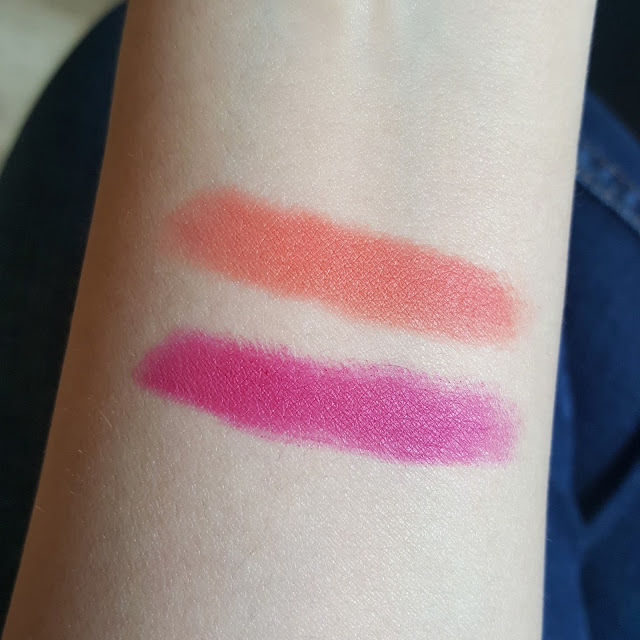 I swatched all 8 shades and picked up two ORCHID BLOSSOM and PEONY BLOSSOM. They are expensive than the usual L’OREAL lipsticks. The shade range is beautiful having more of pink and coral tones. Firslty have you seen the packaging they are so sleek and looks classy as they have gradient effect the gold color goes to the shade of which lip color is. So you don’t have to open them every time to check out shades. The packaging is color coded. As they are so sleek you can carry them in your party clutch too. They have japan characters on it I guess they are for japan market. These lipsticks are for ombre effect which is still a on going trend in Asian markets. You can use two colors to blend and give ombre effect or you can just put any one shade on centre of your lips and dab it. I use this tint caresse as a complete lipstick but I definitely want to try 2 or more shades for gradation effect on my lips. 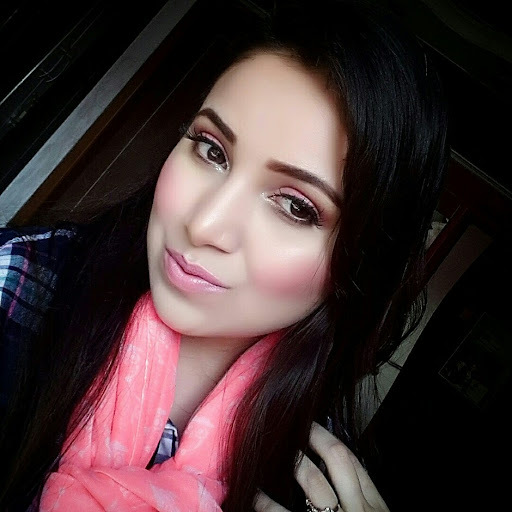 I feel this lipsticks are perfect for summers as it adds freshness to the usual routine makeup. 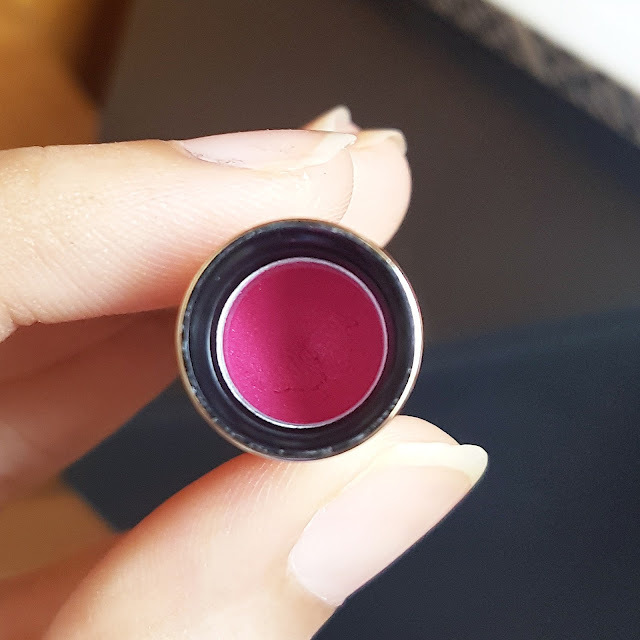 Tint caresse comes with a sponge tip applicator with the product in the cap yes its not in the bottom of tube where the powder comes out of the sponge tip instead its in a cap from which the products get on applicator. This powder form is just like a pure pigment which you can use as complete powder lipstick or you can use as to mattify your current lipstick. Also you can use for Korean ombre lip effect. The formula adheres well on lips and blends when used with other shades. 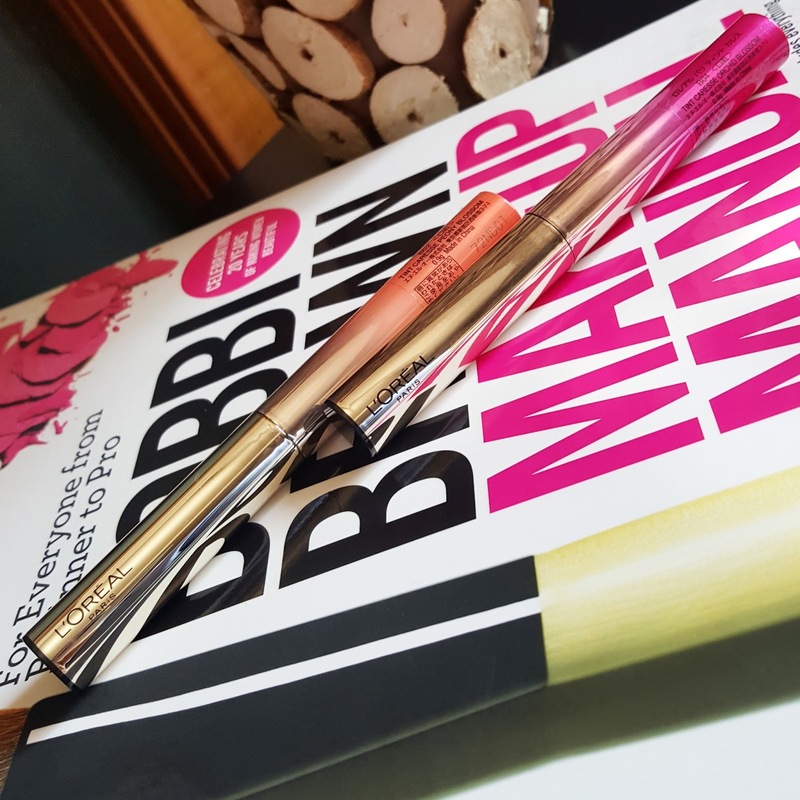 The application is easy I just dab the product on center of my lips and continue to fill up rest of areas. 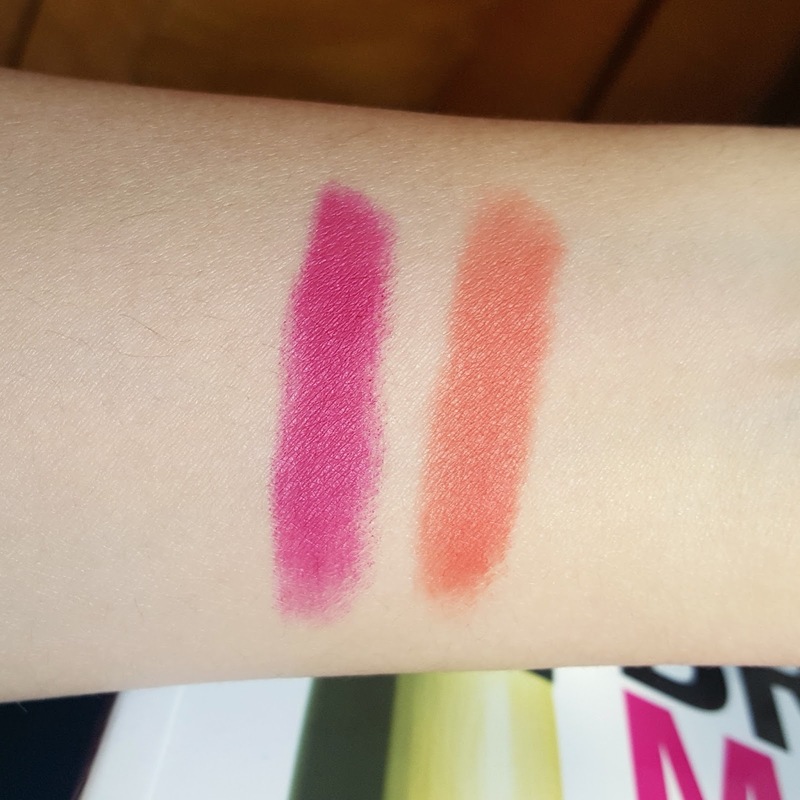 These lipsticks are highly pigmented as they are of pure pigments. It gives a complete matte effect. 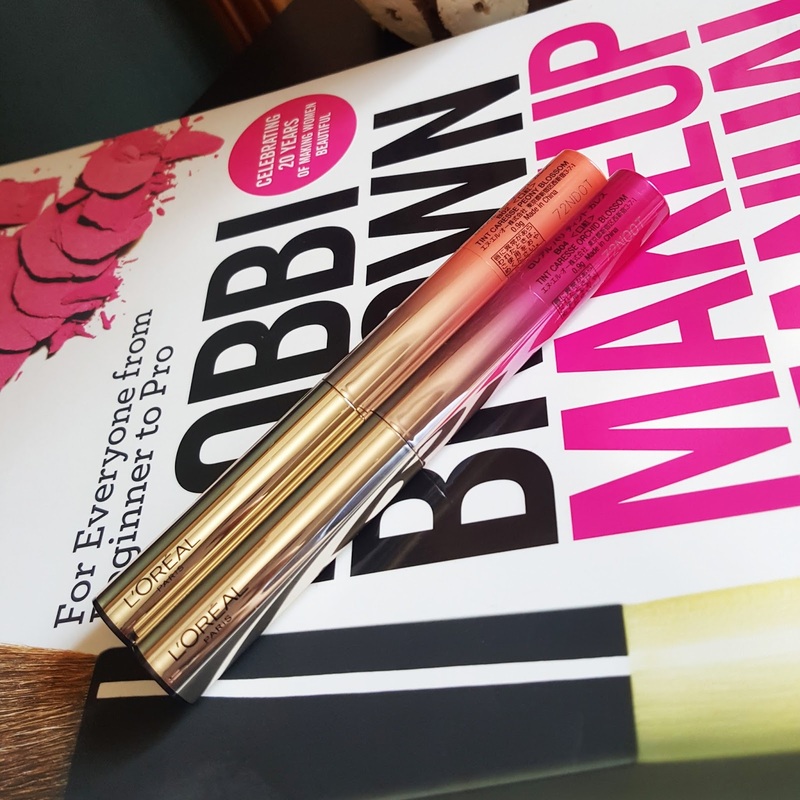 The texture is smooth and feels feather light on lips. Doesn’t make my lips dry which is something surprising. The formula does cling on to dry patches. Also the lighter shades doesn’t give even application in one stroke. Tint caresse are budge proof and transfer proof. It survives meals and drinks. Staying power is so good making it last for 7hrs. They are so easy to carry you can always use them for touch ups. There is no feathering or smudging. Doesn’t accentuate fine lines. They do not have any fragrance. If you have very dry lips exfoliate them and apply a thin layer of lip balm. Overall recommended I simply loved the idea of powder lipsticks they are so highly pigmented and give such a comfortable wear for 7-8hrs. They are good for everyday use. Also you can use them as just a lip tint dab some product on centre of lips and spread it with finger and you are ready to go. I am looking forward to get plum shade only I wish that they were less expensive. It can be used as blush too I wouldn’t suggest to use as eyshadows as it can crease and wont stay well but do try them using as a blush. I have described the shades below. 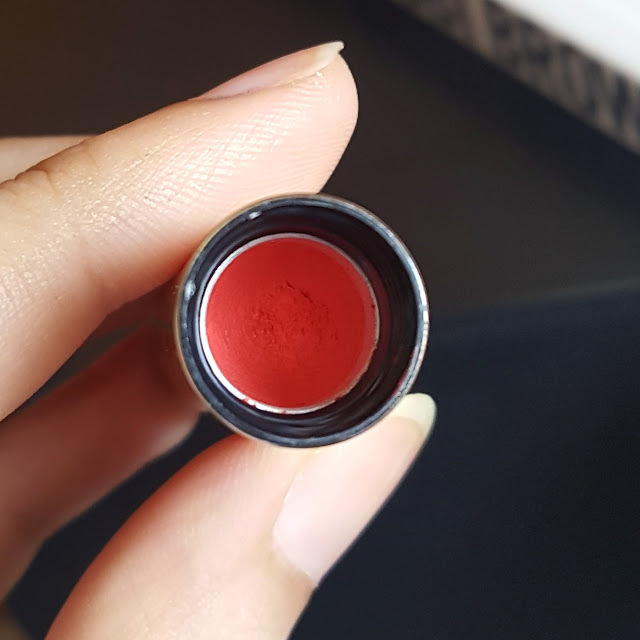 A warm bright coral shade little less pigmented than orchid blossom. But a must have shade for summers. A cool toned bright fuchsia pink totally loving this shade. 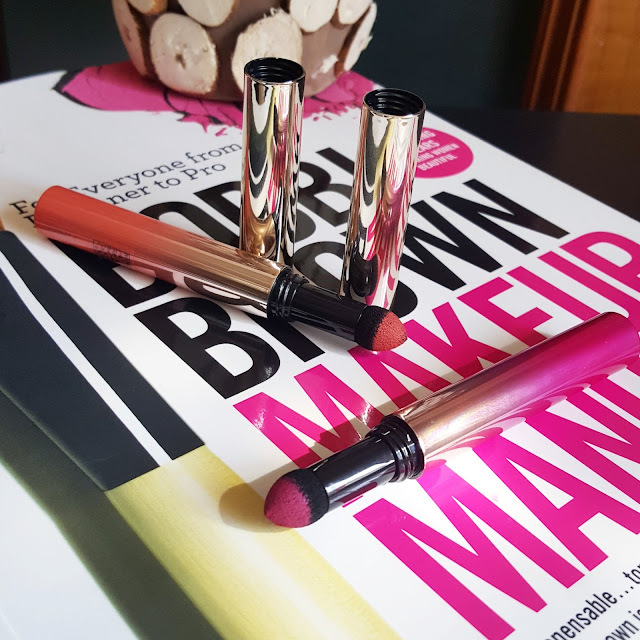 I have my heart on orchid blossom...These lipsticks are love and like their concept..Nice review and clicks..